Scale: 1:25. 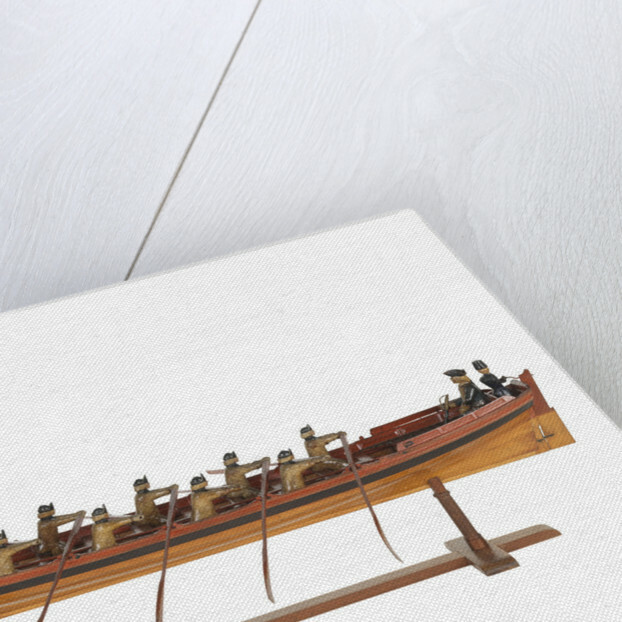 A contemporary full hull plank on frame model of an admiral's barge (circa 1750), complete with carved wooden figures of eleven oarsmen, an officer and a helmsman. 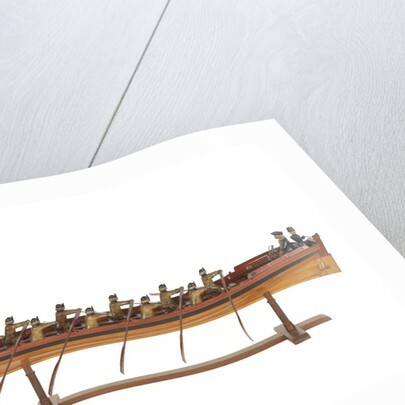 The model is mounted on raised pillars and shows the oarsmen with the oars rigged out in the 'catch' position. 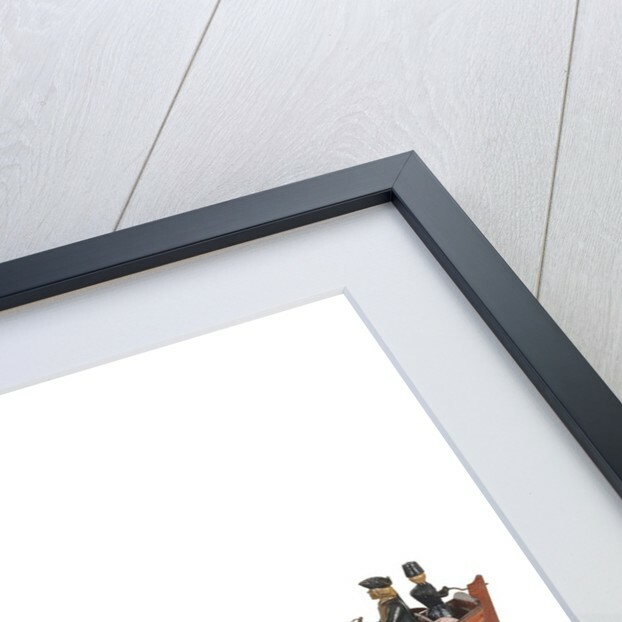 It has been built largely in boxwood with a painted interior and an external varnish finish. At this scale, the model depicts a barge measuring 37 feet in length by seven feet in the beam. These elegant sea boats were built in all the royal dockyards and were robustly constructed with bluff bows which provided better protection for the occupants in a rough sea. 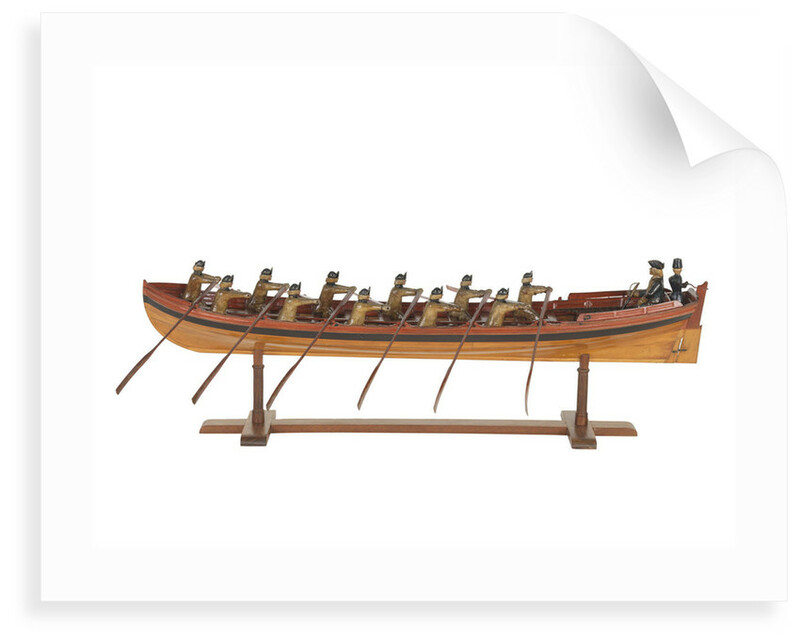 The 18th-century admiral's barge carried by men-of-war was a richly ornamented craft. A smartly dressed and well-drilled barge crew was considered to be a status symbol amongst the ships of the fleet and often oarsmen were dressed in a uniform designed and paid for by the admiral himself.